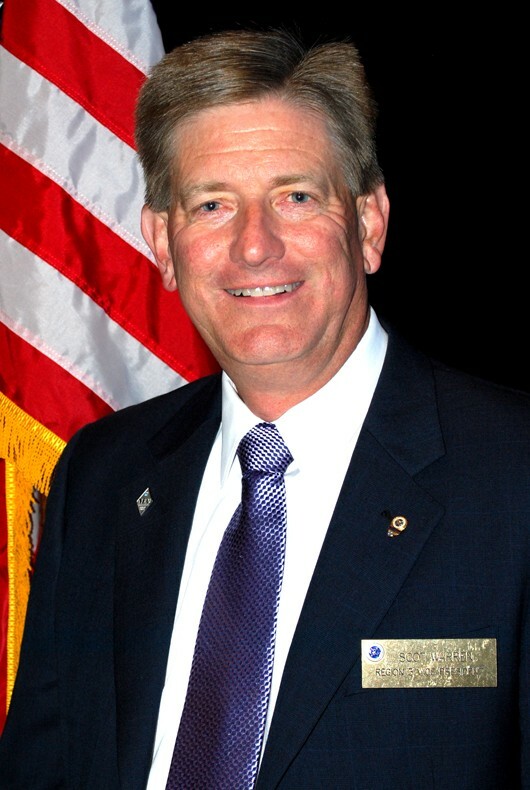 Scot Warren, was installed as The National Exchange Club’s National President at the organization’s 100th National Convention in Reno, NV, in July 2018. Prior to his nomination as National President-Elect in 2017, Scot served as Exchange’s Region 3 Vice President. A second-generation Exchange Club member, Scot joined the Exchange Club of Naperville, IL, in 2002. In addition to his work as Regional Vice President, Scot has served Exchange in many leadership positions, at all membership levels, including Club President, Lincolnland District President, and Division Director. He was appointed as a Volunteer Field Representative in 2012. Scot has chaired numerous committees at the district level, including the Awards, Interclub Fellowship, Club Building, and District Convention Committees. At the national level, he has participated on the 100th Anniversary and Convention Site Selection Committees and has chaired the Programs of Service and Exchange University Committees. Professionally, Scot serves as Senior Project Manager for Veolia Water Technologies. He has a Bachelor of Science in Chemical Engineering from Purdue University and is a Licensed Professional Engineer in the State of Illinois. Tracey Edwards joined the staff of The National Exchange Club in 2004. Prior to her appointment to the position of Executive Vice President in January, 2012, Tracey served as Senior Finance Director, Finance and Membership, and was responsible for all fiscal functions of The National Exchange Club and The National Exchange Club Foundation. 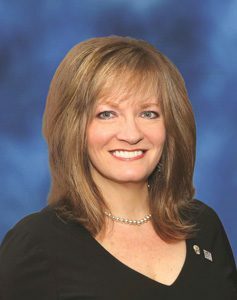 As Executive Vice President and CEO, she serves as a member of the National Board of Directors and is the active managing employee of The National Exchange Club. Tracey oversees National Headquarters Staff in providing professional and technical assistance to the organization’s members in engaging members, delivering education, and enhancing the national image of Exchange. She is Secretary of the Corporation in all matters delegated to the Executive Vice President/CEO by the National Board of Directors. Tracey is also a member of the Exchange Club of Greater Maumee Bay, OH. where she is an award winning Exchangite. Tracey also provides knowledge and assistance to The National Exchange Club Foundation in all of its fundraising efforts and serves as Secretary on NEC Foundation’s Board of Trustees.